Posted on September 18, 2017 at 1:45 pm. 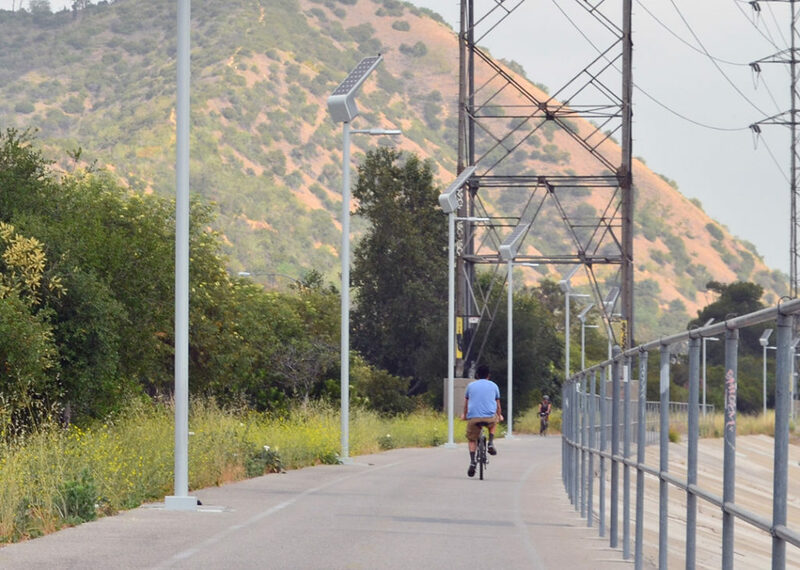 Overview: Established in 2009, the LA River Bike Path was previously lit with grid-powered AC high intensity discharge (HID) fixtures. Copper theft left sections of the path dark after dusk, which prompted City officials to seek a solution that would relieve security and usability concerns, and avoid routine copper wire replacements. 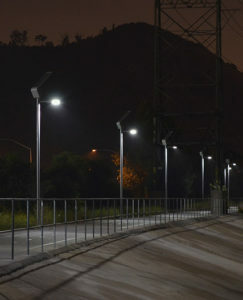 Project: Working with local lighting agent David Silverman & Associates and Carmanah, the City turned to solar-powered pathway lighting as a solution, installing over 100 EverGENTM 1710 systems. Its self-contained design met the performance and reliability requirements of the bike path, and addressed the City’s security and vandalism concerns.